Years ago, when the internet was new and unknown, it was commonly thought that THIS form of media (the internet) would make it possible to eliminate ad costs forever. What a concept! 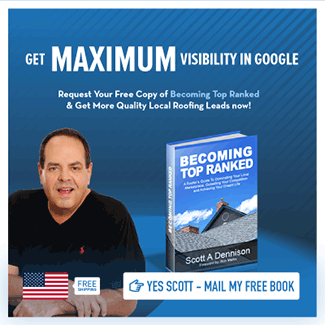 Free roofing leads. Right? If you’re honest, you’ll say you want them too. Yet, to this day I see that searches on Google for free roofing leads is still very popular. Is Wishing For Free Roofing Leads Just Crazy Talk? You know who would also say you’re talking crazy if you asked them about getting leads without spending money on them? Your Dad and Grand Dad. That is if they were businessmen as you are. Why? Because they understood that advertising was what you had to do to attract customers to your business. They did not sit around wishing for free leads and I’m pretty sure they’d tell you that you can look but will never find leads that are free. So why is it that roofing contractors search for something for nothing? I’d say that you, and most of your peers, have been aware that the Internet held the key to getting more customers. Their awareness has had them searching and looking for roofer marketing solutions. Most contractors are solution focused. But if you’re like most, the results you’ve gotten for your time and money were less than impressive. Then, as capital to invest in better marketing results dwindles because it was wasted on products and services that failed to produce an ROI, the desire for free leads almost became a NEED for them. Why Do Marketers Promote Something They Cannot Deliver? Year after year, unscrupulous marketers continue to promise something for nothing and year after year for one reason. Contractors respond. Your focus should probably be on how to generate roofing leads, not on searching for them somewhere for free. In reality, online marketing and lead generation is getting easier – BUT it’s getting more expensive. The game is changed and continues into more rapid change. What’s unchanged is that the business of acquiring customers still involves some simple principles. What are they? These principles, added together, equal your “network effect“. If you’re not familiar with the term network effect, I’d recommend that you begin to research and understand it. Based on the direction of things, soon, roofers who don’t have a solid network effect working in their business will be out of business. Why? You’ll find it impossible to meet the buyer/homeowner’s criteria for doing business. Those who are still in business will most likely be moving from one lead generation site or company to the next. Always looking for someone who can help you get your phone to ring with highly qualified new customers. But if you’ve worked with those big lead gen sites, know that their non-exclusive leads model is one of the problems you have. Consumers generally say they don’t like the experience of getting bids from these companies – and contractors almost all say they don’t even get to present their services to leads obtained this way. First, decide that you’re going to change your mind about how you get leads for your roofing business. If you read my post last Thursday you know I asked you to make a couple of decisions then too. With that decision firmly made, then proceed to position your business online as Google has said they’d like you to. This means clarity on the keywords you want to rank for. It means having high-value content created (or that you write yourself) that positions your firm as unique, different and better. By itself, this will insulate you from prospects who want “your best price”. Beyond the keywords and content, your site needs to be lean, fast and easy to navigate. It needs to be mobile friendly and super easy to navigate by phone. It needs to gain “authority”, which is a way of saying that Google trusts your site and because they do, will often rank your site ahead of your competitors. Those homeowners who do hire you for roofing work must help you attract another customer with the reviews they provide for your excellent work. I’ve spoken in the past about the impact consolidation and big money have skewed the internet in a major way. Big money competitors are working to take all of the opportunity you have for success there away from you. They’re outspending you on advertising. They have (a lot) more traffic to their sites. 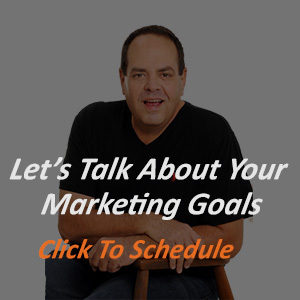 All of the systems that measure results are in place when you visit their sites. These types of companies already have begun to push small contractors out of the search results. Soon, unless you change your game, it will be checkmate, you lose. There is time, but you have to move. It’s now – or never. As a final thought, I’ve been researching what’s happening in your industry for almost 5 years now. The proven results my clients have gotten over the years, are the results most of you tell me you want. I’m working through the details now of a new program where I’ll work alongside you, in the trenches, to resolve these issues once and for all. It’s very likely though that I’ll only be able to work with 10 companies. You see, I think the compression of the roofing industry is going to be so brutal that when it ends, there’ll be a small number of roofing contractors left, nationally. This is exactly what happened when automobile manufacturing went through a similar phase many years ago. There were once hundreds of US car makers. When consolidated, there were six. If you have questions, contact me here and I’ll do what I can to help.